Student Government announced the newly elected Class of 2019 representatives last Wednesday. 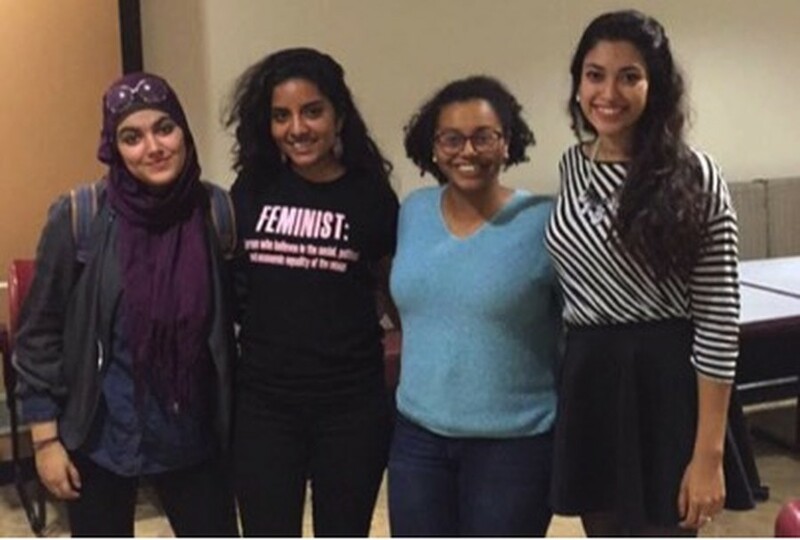 First-year students Megha Bhattacharya, Salma Elkhaoudi, Paulina Torres, and Qudsiyyah Shariyf were elected after campaigning across campus. Class representatives are largely responsible for their roles on the College Council, the primary governing body for the undergraduate segment of Student Government. Class representatives make up roughly half of the entire Student Government Assembly. The other half consists of representatives from various professional schools and graduate divisions. Members of the Assembly serve as both a general legislative body and as a link between the student population and university administrators. This year, 536 first-year students participated in the election. 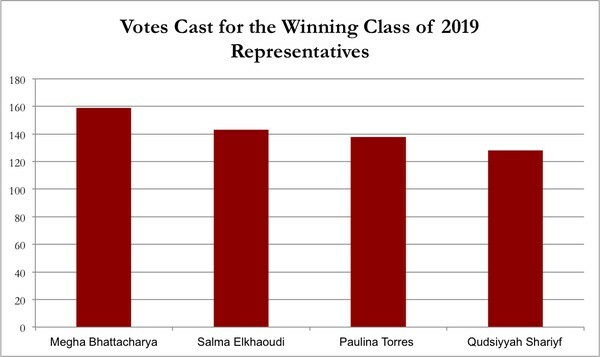 Bhattacharya came in first place with 159 votes, Elkhaoudi came in second place with 143 votes, Torres came in third place with 138 votes, and Shariyf came in fourth place with 128 votes. This year’s election saw a voter turnout of 36 percent, which is lower than last year’s turnout of 40 percent. This year’s election was particularly competitive, with 20 students running for four slots. Torres said that there was no knowing who would win because all of the candidates were so qualified. “I think so many people ran because we all come from schools where we are used to being super involved, whether it’s taking on leadership roles or just feeling passionate about our school,” Torres said. This year’s elected reps stood out for their platforms based on social justice. For Torres and Elkhaoudi, who are both Questbridge Scholars, the Chicago Academic Achievement Program (CAAP) inspired them to base their platforms around inclusion. The Questbridge scholarship program links low-income students to elite colleges and universities, and CAAP is a seven-week residential program that provides early exposure to scholarly and social life at the University for incoming first-year students from low-income backgrounds. “It’s all about awareness and exposure to social injustice…CAAP helped me realize…my goal is to be a loud and inclusive voice for everyone who wants to be voiced on a level that can invoke change,” Elkhaoudi said. As members of the Southside Solidarity Network (SSN), Torres, Shariyf, and Elkhaoudi also plan on using their role in College Council to increase student body engagement with residents of the South Side. “We want to bring what we’ve learned from our participation in SSN, CAAP, and the Chicago Bound program to the College Council,” Shariyf said. The Class of 2019 representatives are also all women of color. The addition of the four female class representatives brings some gender balance to the College Council, which, prior to the elections, had nine male representatives and three female representatives. Bhattacharya noted that the fact that they were all women was empowering. “We are all strong women with issues that we care very deeply about. We’re also aware that we have a very interesting and diverse student body, and that we can still be representatives of that student body even though we are all women,” Bhattacharya said. Bhattacharya also took inspiration from House Minority Leader Nancy Pelosi, who spoke at the Institute of Politics on October 15. The representatives hope to bring more attention to the issue of sexual assault on campus, citing their concern with the results of last year’s campus climate survey.